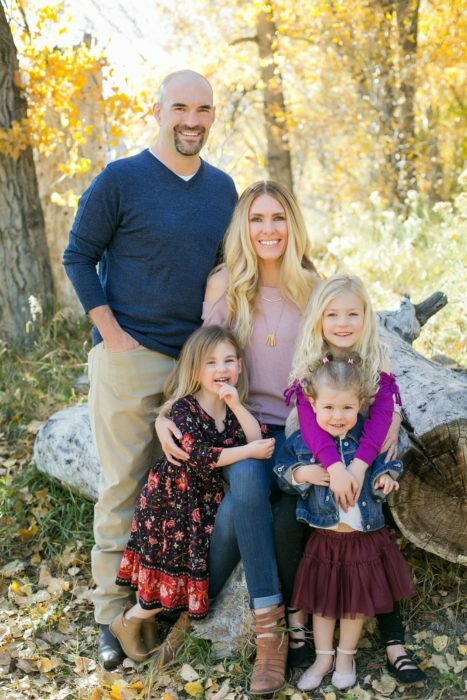 Clean beauty is having its moment in the spotlight as women become more aware of the largely unregulated wild west that is the cosmetics industry. While just a handful of toxic chemicals are banned here in the U.S., over 1,300 are banned in Europe, so that lipstick you picked up from Sephora that contains lead has a cleaner formulation if it were sold in London because those wacky Brits are into radical things like not eating poison. Hippies. While I slowly find healthier alternatives to replace whatever I run out of, I’m finding that one bad purchase (like THIS nightmare) makes me a little gun shy to dish out for something I have to order online and probably can’t return. 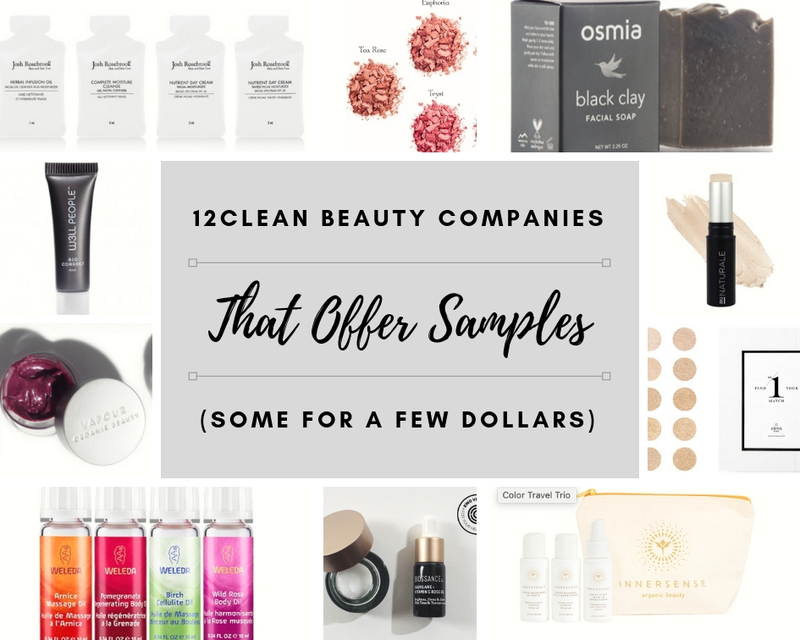 Luckily I’ve done some digging and found that some of the more popular green companies offer samples (some for just $1 or two) so you can be sure that you love it before making the plunge. Enjoy this (affiliate-free) list below of a few lines that offer samples so you can try before you buy! A foundation Sample Kit with several selections from either their warm or neutral tones for $10- no tax or shipping, mine should arrive today! They also have a Mini Kit of their skincare line for $40- which contains their super light SPF 28 and Essential Serum that can be mixed with their powder foundation to make it into a serum that blends in beautifully and looks like sunshine on the skin. From blush to shadows to their much loved powder foundation, their samples start at just 50 cents each and are generously portioned. I ordered 3 shadows and the powder foundation a while ago and was so impressed with their pigment and blendability that I’ll order full sizes when the samples are gone- which might be another month or so. They once sampled a’la cart, but now they’ve streamlined their system by offering 10 samples within a color range so you can find your perfect shade for $24. This is a line that has evolved and made mineral makeup cool again years ago when it was just first getting its legs in the market. I’ve always loved the pigment and shades they carry, along with the chic packaging. 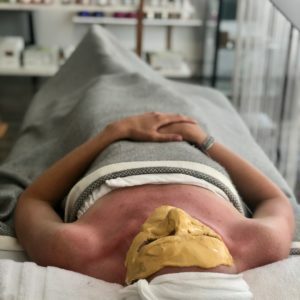 You can get their ‘travelers’ for $15 which is a deluxe sized shampoo and conditioner, and also $7 for skincare samples, and $38 for a smaller version of his popular Cacao Antioxidant Mask which sells for $65 for the full size. That’s what I bought a few months back and will have some full deets on each one soon. 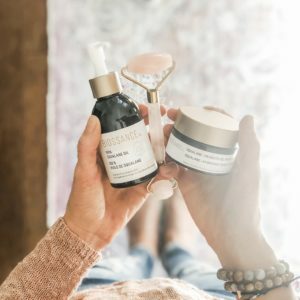 Everyone’s favorite Colorado company Osmia has this huge listing of items that they sell in smaller or sample sizes- which looks to be about everything they offer. I’ve never been disappointed by her line and everything lasts such a long time. I’m still using the Black Clay Facial Soap I bought a year ago every day. My current hair routine always involves Innersense, as does the girls’. It’s revolutionizing truly clean haircare with products that are as elegant as salon brands with formulations that are as clean as they get. They’re offering their trios in travel sizes so you can try out their shampoo, conditioner, and Sweet Spirit, a leave in conditioner. You can create your own sample bundle with 2 foundations, a concealer, and 2 bronzers in custom shades you choose for $15. They carry clean makeup and are known for a gorgeous shade range and colors to suit most skin tones. 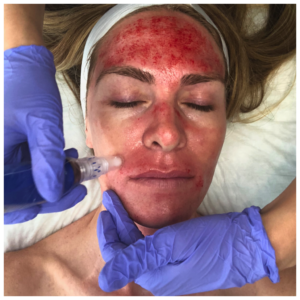 I had the chance to meet founder Shirley Pinkson at an event here in Denver a while back, an old school Makeup Artist who values performance and uses the line on her A-List clients under hot lights for long shoots. The goodie bag I received was the first time I’ve tried W3LL (full thoughts on the line to come) and although I didn’t try ALTRUIST FOUNDATION POWDER, they sample it for $1.50 each as well as their ‘Minis’ which includes their mascara and Bio-Tint concealer – both of which I’ve used every since that day. 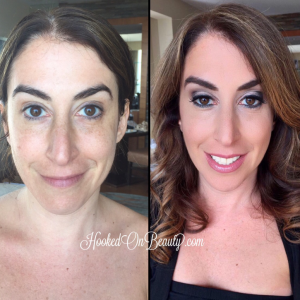 The concealer is the closest I’ve come to finding something that performs like a true professional line- super pigmented and incredible. You get to choose what you’d like to try in their ‘5 for $15’ sample kit which includes some of their best sellers like Stratus Soft Focus Instant Skin Perfector, highlighters, bronzers, lipsticks, and skincare. It’s the most complete offering of samples of the bunch from a company that has been doing organic beauty the longest. I found them on Instagram, ordered samples, then became a fan. I now have a few products and will be adding more soon due to their holiday gift sets, but it all started with their Brightening Set. I chose this one of the 3 offered for $24 and found a moisturizer that I can’t see myself ever not using. Their story of how they came to be is a great one, and their products are elegant and perform so well they’re becoming an instant fave among influencers and editors alike. This line is really a cool one and a unique concept that I just love. Their serum concentrates are especially designed for specific skin concerns and can be mixed together or added to whatever moisturizer you’re currently using. They offer 3 FREE samples of formulations you choose- you just pay shipping.